Often, ‘going green’ means having green, but not if you live in Peru. Peru has initiated a program to provide more than 2 million of its poorest residents with solar electricity, and all for free. 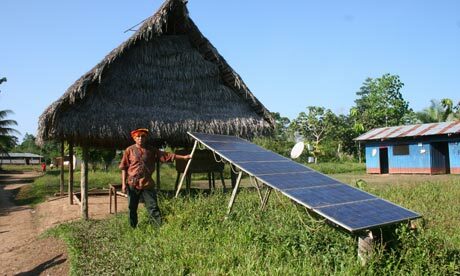 Currently, only about 66 percent of Peru’s 29.4 million population has access to electricity. The National Photovoltaic Household Electrification Program’ began on July 8th and plans to power 95 percent of Peruvians by the end of 2016. The entire program will cost about $200 million.